Sri Lanka’s “Chief Servant”- He Has To Go! When Maithripala Sirisena addressed the nation in 2015 after being sworn in as the Executive President of Sri Lanka with 6.25 million of us having voted for the man – a political nonentity – we did so with the sole purpose of getting rid of his megalomaniacal predecessor, Mahinda Rajapaksa and his corrupt-to-the-core regime, he said, “This country needs a Chief Servant (himself) and not a King (his predecessor)”. Well, look what our “Chief Servant”, Sirisena has done! He did a volte-face on his fancy utterances, donned the crown, elevated himself to the status of a dictatorial king, forgot all about being our “Chief Servant”, stabbed us all in our backs and continues to call the shots. What a disastrous “Chief Servant” he has proved to be! The man should be reminded that he is STILL an ’employee/servant’ of ours – the citizens of Sri Lanka – his ’employers’, who pay his salary and foot the bills for all the perks and luxuries he and his family enjoy. Instead of keeping our ‘house’ in order, he has crapped on it, and on our Constitution and stabbed us in our backs – his employers – who gave him the job by voting for him, by stealthily bringing through the backdoor the enemy, the very lowlifes we wanted to be rid of – the treacherous Rajapaksas and their cohorts – kicked aside the legitimate Prime Minster and government and installed the hijackers of our Parliament as our Prime Minister and Cabinet of Ministers. Who the hell gave him the authority to do that! How does one respect this traitor and continue to regard him as the President of our country? I definitely do not! ‘Breach of Trust’ is a criminal offence and our self-proclaimed “Chief Servant”, Maithripala Sirisena is guilty of it! It is sine qua non that we be rid of him without further ado, before he causes further irreparable damage. The time has come for us to join hands and request him to quit with dignity or else, we have no option but twist his arm into doing so before he burns our ‘house’ down to cinders. Period! The cost of damage he has caused by his political drama must eventually be borne by the 21 million of us Sri Lankans and our future generations, not just the 6.25 million who voted him in. Besides the economic hardships we the citizens of Sri Lanka will eventually be forced to endure, he has also brought shame upon our country which was once regarded as the epitome of a Democratic country – a country which upheld all what Democracy stood for – but not anymore. We have today become the laughing stock of the world, thanks to our “Chief Servants” unforgivable treachery! Sri Lanka is said to have the highest literacy rate in the South Asian region at 92% and overall, one of the highest in Asia. Literacy is not confined merely to the ability to read and write. Any fool can do that. Literacy also means integrity, courtesy, the ability to use one’s common sense and sound judgement to determine right from wrong, the lack of which has been proven over and over again by the gullible voting masses of this country. Literacy also means not allowing others with personal agendas viz. politicians to brainwash us into believing what they want us to believe for their own selfish ends, the lack of which, once again, has been proven over and over again by the gullible voting masses of this country. Democracy is an institute each and every citizen of our country is duty bound to respect, and uphold, no matter who or what we are. We Sri Lankans have the moral right to live with dignity in our own country. This is our democratic right. It is our birth right. But, how many amongst our voting masses care two hoots for such rights or do they even know what they are? So much for a population with a 92% literacy rate! 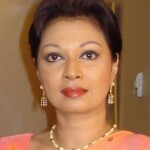 When self-serving treacherous politicians behave and regard our country as their personal backyard to do whatever they wish with it at will, with not a care for those of us who voted them into power, it becomes a problem of unimaginable proportions not only for us but for the future generations of Sri Lankans as well. By selfishly looking the other way at this crucial moment in time, we Sri Lankans are also creating an ugly legacy for our future generations. Is that what we want to leave for our children and grandchildren? Do we want them to curse us for being selfish, spineless, complacent cowards when our country needed us? Is that how we want them to remember us? The worst is yet to come. If we the people of this country don’t unite and halt the chaos that undoubtedly will unfold before our very eyes it will be too late to halt it. Let not our self-serving politicians cast us aside as non-entities who matter only at the ballot. As citizens of Sri Lanka, we matter and our rights matter when it comes to defending our country against such traitors. As citizens of Sri Lanka, we also have every right to live in our motherland with dignity, in peace and in harmony with each other. Kings never sleep with servants. King is carrying something religious in his hand which the god’s servants asked him to be with it all the time to be superior above all Supreme Courts. Excellent article and wholeheartedly agree. However RW has to take a share of the blame as it due to his his arrogant and stubborn ways. Even now he is not letting the the issue to be resolved by insisting he be named premier. We have had enough of RW as much as Sirisena and MR.
Well said, Sharmini Serasinghe. President Sirisena will not step down until he loses in the next presidential election as he seems to enjoy holding the position as The President of Sri Lanka but possess no knowledge of the constitution and not suitable as a national leader. The reality was 6.25 million voters voted for him to replace Mahinda Rajapakse. At the time when Mahinda Rajapakse defeated LTTE in 2009, no one in his the wildest imagination that he would be defeated in an election. As Mahinda portrayed himself as the uncrowned king. But alas for his dreams, due to his wrongdoings, people brought in a person like Mithiripala Sirisena who is not at all suitable to hold the high office of the country. He is always clueless about national issues and national economy. It is very unfortunate as the damge has already done. MS is a traitor. Impeach him, hang him, whatever it takes, get rid of him. It is dangerous to have him continue to hold the office of President. He is a mad man. And yes, for the future, those offering themselves for election need to meet certain minimum educational qualifications as well as other standards; e.g. no one who has been charged with and found guilty of a crime by the courts should be eligible to run for public office. If ordinary citizens have to meet minimum educational and other standards when they apply for a job, it is all the more essential when you are applying for the job of governing the country. He is a Kudda. A Kudu Thaththa for Chathurika, the Kudda’s daughter, to write her second book about. ‘Get rid of him’ you say. Many repeat the same. But how? Impeachment is impossible without a 2/3 majority. An excellent comment…fully agree with everything you write here. Saving democracy! You should have stood up to the voters when the right to elect local govt members were delayed for two years. And now the PC elections for over one and a half years. Now that the mask wearing Sharmini has said her piece, I am compelled to change sides. The writer has forgotten something else about MY3`s character – did he not declare that he will set fire to everything before he goes!!! He is keeping to his word now – thats all. His daughter declared elsewhere that MY3 does not know what he does when he is angered..
one must expect MY3 to act in this manner – he does not care about anything else. than the greed for power – poor man – he tasted it with his family and why not another 5 years with ease. MR & cohorts jumped in, given the opportunity to get rid of the Court Houses once and for all – this is the story of SL in short. Don’t foeget taht, Before 2009, All of you were under the SAYA. Now all you act like a hero. Another tour de force from Sharmini S. Nothing held back. We invested much hope in MS, but he has let us down badly, and ultimately he has shown none of the qualities of a true leader – to gracefully go when he fails. The present muddle that is of his creation has led us in to dangerous waters, and the country will suffer intolerable hardships and set backs if not resolved soon. Mr President, do the honourable thing even at this late hour – GO! If we cannot find a suitable person to take care of the nations affairs can we not import a honest politicians from abroad? Isn’t it what we do when we find skill shortage in this country? Why can’t we extent the same practice to cover other areas such as politics? Inspirational idea, but when we are unwilling to trust impartial judges to come in and clear some outstanding business, there is absolutely no chance of bringing a saviour in to save the country and show us the way forward. Well RW has to take the blame for bringing in MS. Why does RW want to piggy back? As mentioned by an earlier commentator if RW cant win a presidential election he must give it over to one who can win. After all before MS, RW must go as he lost over 29 straight elections. Now Sharmini Serasinghe has calmly forgotten how RW robbed the Central Bank in broad daylight and it was MS who exposed RW . What an effort was made by RW to cover up his tracks in the CB episode ? If RW resigned like a gentlemen after the CB episode non of this would have happened . 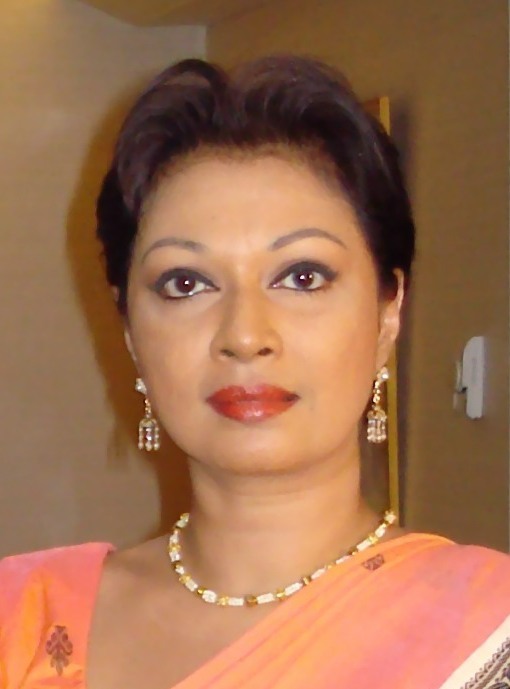 I watched the programme on the.you are a brave lady.we agree whole heartedly.i have voted for the chief servant myself and ashamed of it.people with quality and good back ground should come for politics and not not ruffians who talk like innocent kids when they want voted.he cheated his former boss as well.well done.we are for democracy. Sharmini, if you can arrange for a public debate between MS and RW asap…. seems like you have not seen the cause…..like many dimwits here, you are also trying to treat the symptoms instead. Just use your intelligence and analyse the situation from A to Z. You ask yourself at the outset whether there was yahapalanaya, as assured, day in and day out. It didn’t take more than 42 days for the ousted party to damage the yahapalanaya image and ruin MS and the country on the whole. – War finished in 2009…..we failed to capitalise on that…….true unacceptable things happened during war and the final phase of the fightings too then once more we/entire world blamed that on one person MR ? ?…when every Country/UN we live as Diaspora played THEIR part to complete their need/agenda/mission?? and on behalf of the SL people too…we failed to see MR’s leadership for what it was then. Sorry to say no other leader will ever be able to bring the country together is a fact to date even after all the face loosing sequence of events we have cooked up against MR. (I say this without any party political beliefs). – China and India working full-time on all their insecurities as though Sri Lankan is their Nations extension…..a little Nations leaders can not cope as we have already lost our children’s blood…..being in another persons shoes may help. Country is full of white elephants + more to come…..nothing to do with our way of life/needs…a green politics is desperately needed. -Then the rest of the International framework and their agendas/approvals/involvement in National affairs + TNA using war crimes/constitutional assembly weaponised as though they care about the dead and the living??. -LLRC+ Truth and Reconciliation+ NPC (NPC personally I think it is wrong) always had some answers to the issues but we choose not to follow MR’s leadership and demanded all and now then?? We forgot the armed forces also SL’s and have families too and they make up the Majority? to date none can be delivered by anyone we choose?? Sorry to say we can only move from frying pan into the fire with the ‘identity politics’ time and time again be it different pan and different fires….a green politics can solve all our mental blocks if we let the Nature dictate things from now on. The best part is no one has to loose their face/identity/pride in green politics. if is not MS someone else will always fit your description if we all do not change our National politics……we will end up with white elephants and more to come……..we are far too exposed as people to survive the evil world…..a united non partisan governing body with no war crimes/constitutional change nonsense in the interest of the living……good governance say we all have right to return to serve our Nation???? do you see any ships arriving from around the world carrying the diaspora? So beautiful and so brave. What a lady!